The Gist: Brian Koppelman and David Levien on Billions, and Making a Murderer. Why Brian Koppelman and David Levien have left feature films to make a new Showtime series about power and money. 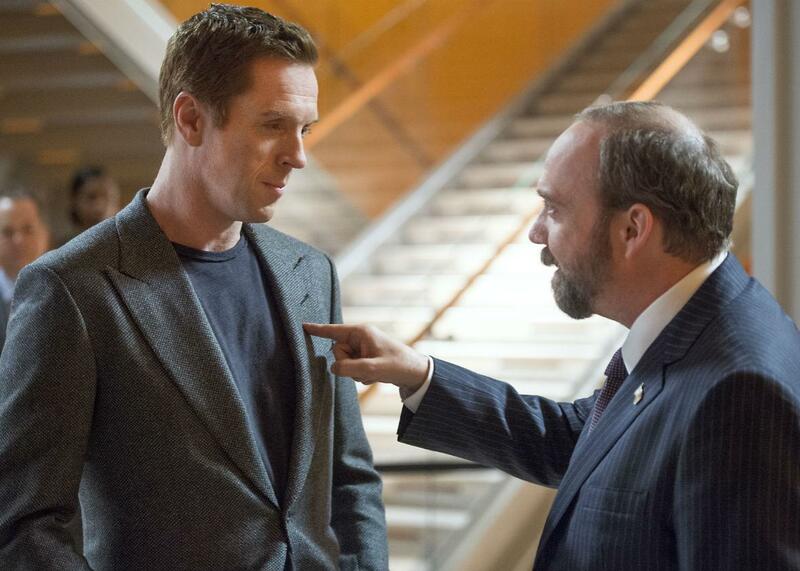 Damian Lewis and Paul Giamatti in Billions. On The Gist, guests Brian Koppelman and David Levien explain why they stopped making easy TV-show deals with networks. For Billions, the longtime creative duo decided to take the time to write the show they wanted to make on spec. Their series premiere set records for Showtime, and you can watch it for free online. You can also check out Brian’s podcast The Moment. For the Spiel, Mike identifies similar issues raised by Making a Murderer and the new season of Serial. Audible.com, with more than 180,000 audiobooks and spoken-word audio products. Get a free 30-day trial and a free audiobook at AudiblePodcast.com/thegist.